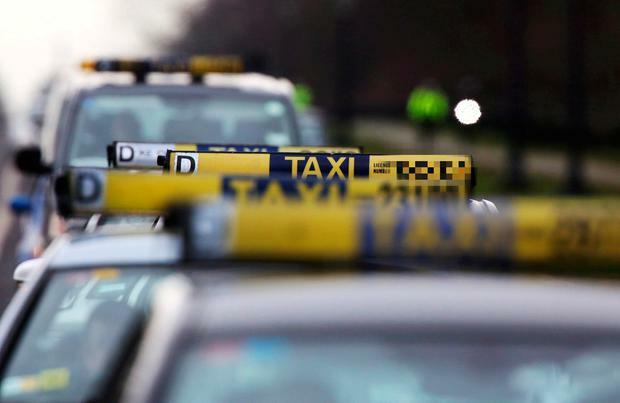 A total of 27 taxi drivers are under investigation as a result of a multi-agency crackdown involving the immigration bureau. The operation, codenamed Vantage, followed an analysis of new and existing applicants for public service vehicle (PSV) licences. It identified a huge increase in the number of applications for licences from non-EU nationals over the past 18 months. The study showed, in particular, a disproportionate rise in applications from Indian, Pakistani and Bangladeshi nationals. This led to the Garda National Immigration Bureau (GNIB) focusing on the validity of their immigration status and examining their past. The figures showed there had been 70 applications for taxi licences by nationals from those three countries in 2016. But the number jumped dramatically to 290 in 2017, more than all of the applications made the previous year. Last January, the Garda carriage office reported that 40 out of 58 new applications were from non-EU nationals. Following further inquiries by gardaí, it was decided to set up multi-agency checkpoints with GNIB backed up by multi-agency personnel including the Department of Social Protection. Three locations were selected for the checkpoints, at St John's Road, inbound and outbound, and Military Road, all close to Heuston Station, on the night of the Ed Sheeran concert in the Phoenix Park in Dublin. A senior Garda officer said: "The purpose of the checkpoints was to identify and detect any criminal offences and/or breaches of relevant legislation and immigration controls, being committed by public service vehicle licence holders. "It was suspected there were a number of people operating as illegal taxi drivers and individuals committing offences contrary to road traffic legislation," the officer added. During the checkpoints 110 vehicles were inspected and the drivers interviewed. Further inquiries are under way into the immigration status of 27 drivers in the State. Most of them are being investigated for suspected involvement in marriages of convenience, or sham marriages, to circumvent the immigration laws. The residency cards of a number of drivers have already been revoked, as a result of alleged links to sham marriages, fraud and breaches of EU treaty rights. Several of those decisions are now under appeal.